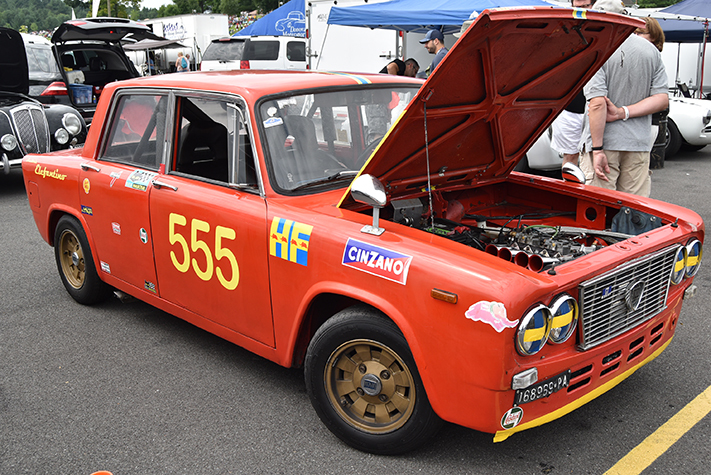 The Lime Rock Historic Festival 2018 was another wonderful event filled with wonderful old cars. 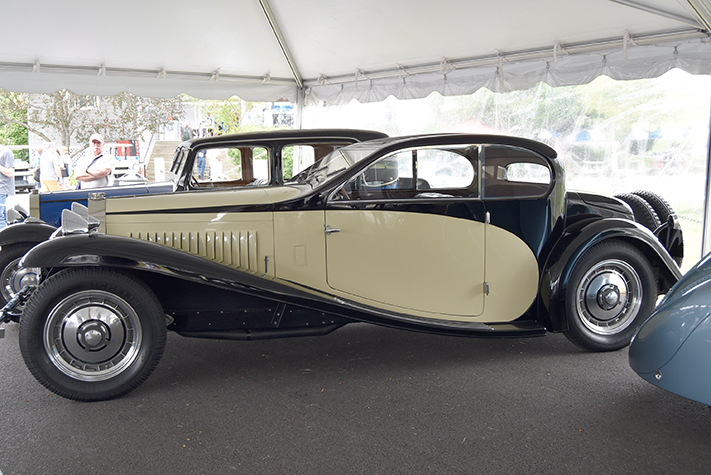 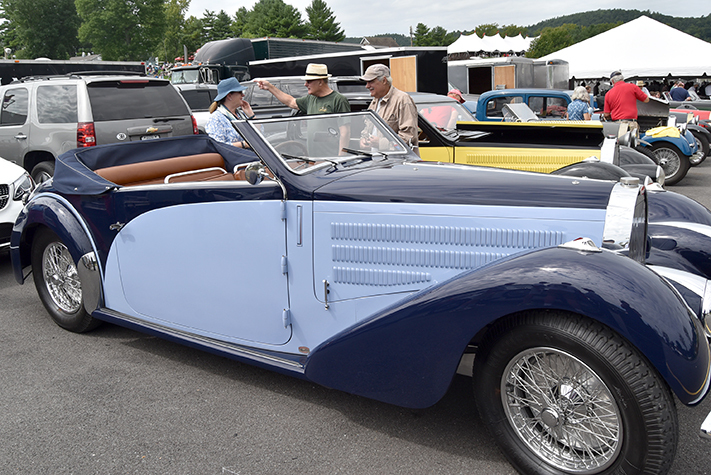 The 36th annual event featured the Bugatti marque and there were an impressive number in attendance. 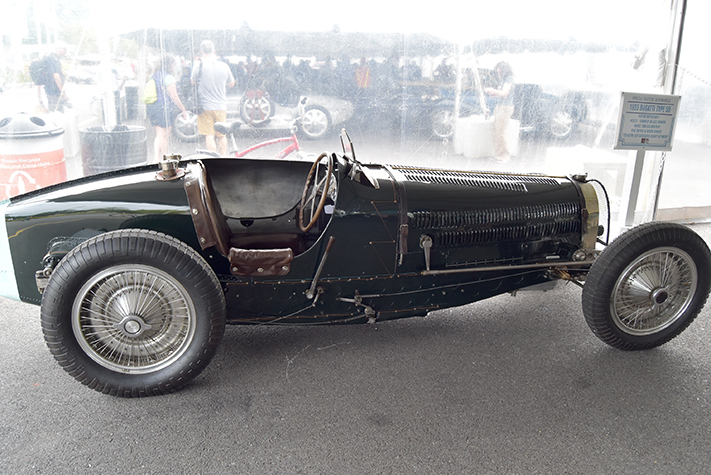 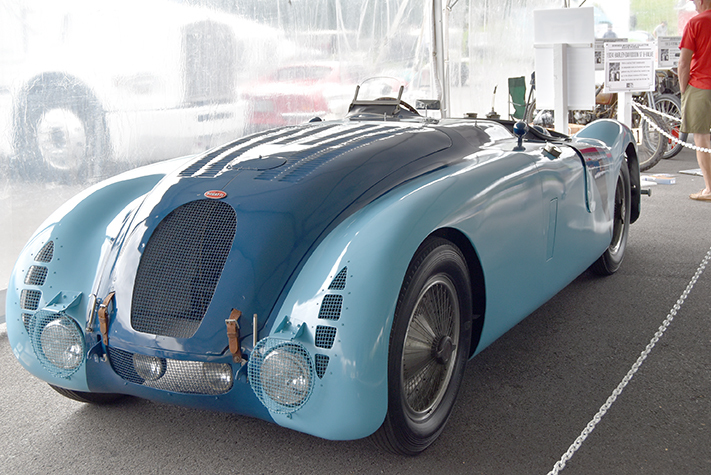 Restored and patina’d Bugattis were displayed side by side under a special tent. 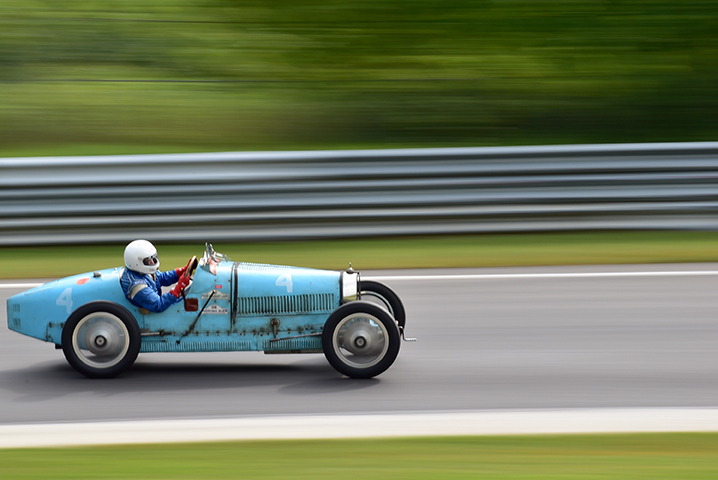 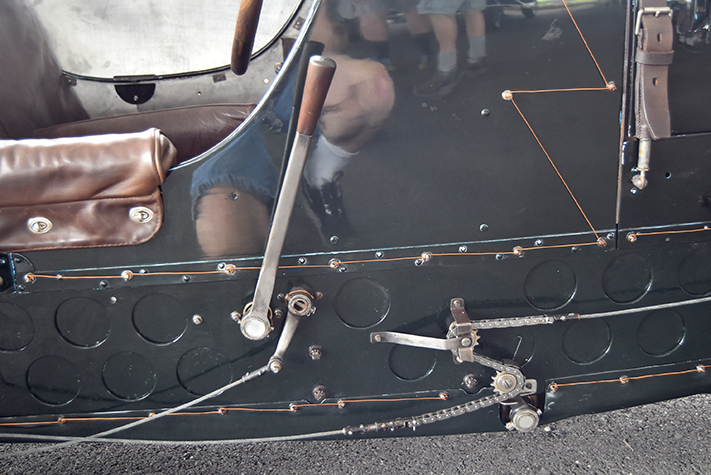 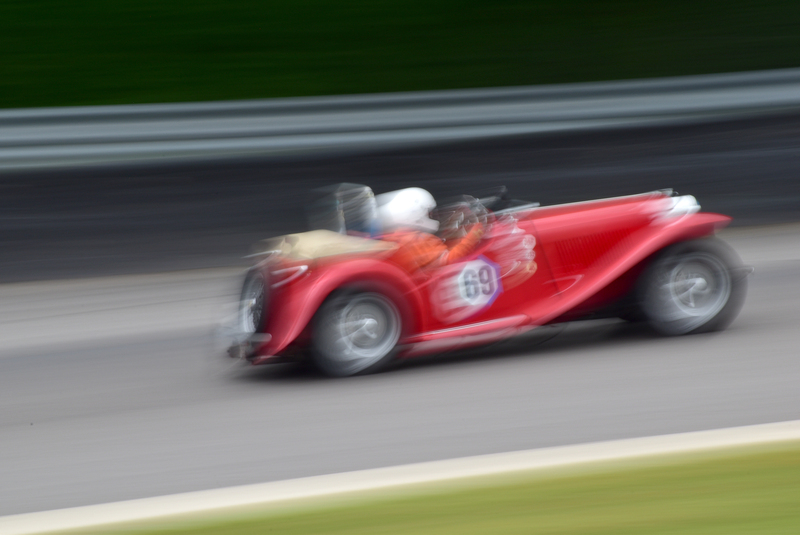 Bugattis for both road and racing were incredibly varied and beautiful at the same time! 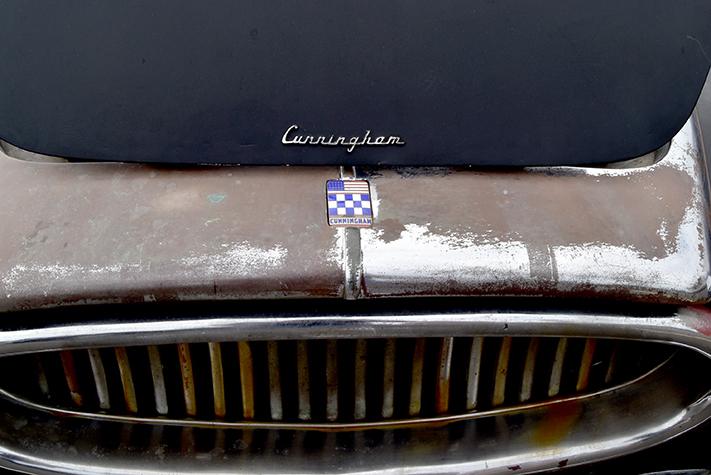 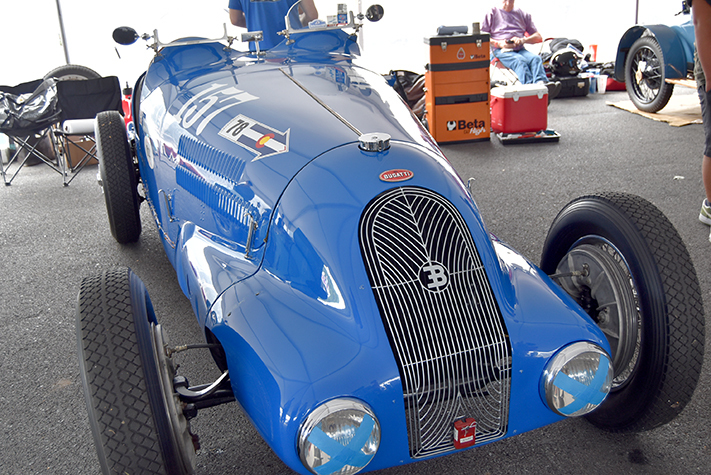 As usual, there were a huge number of vintage cars to be seen in the paddock. 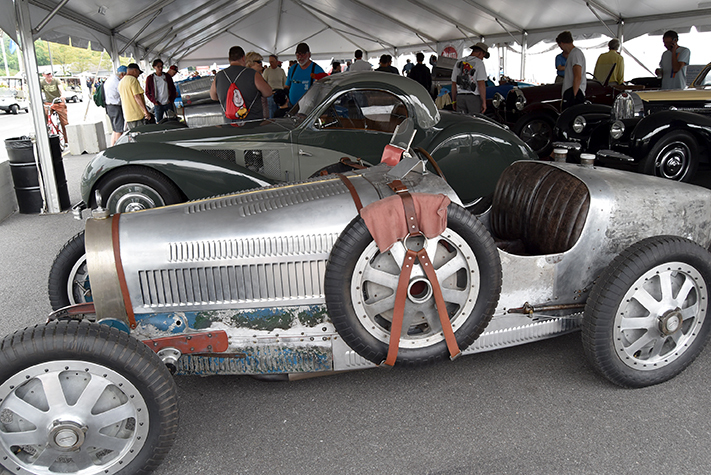 The weird, wonderful and rare were all on display. 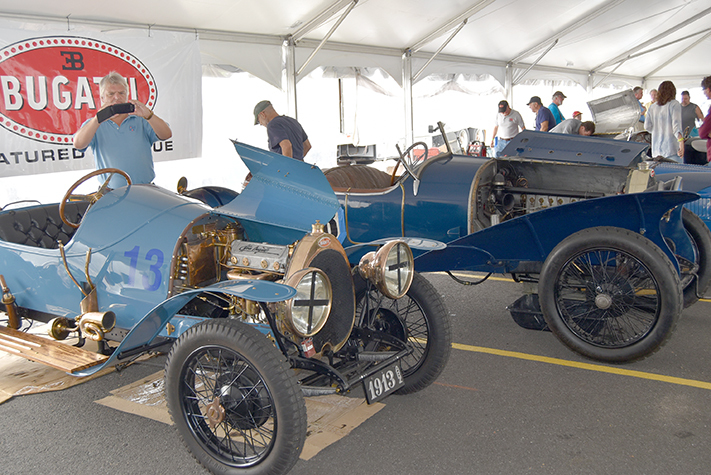 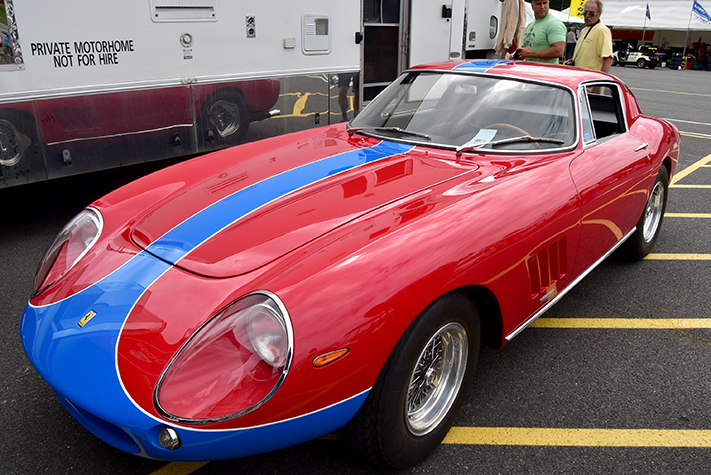 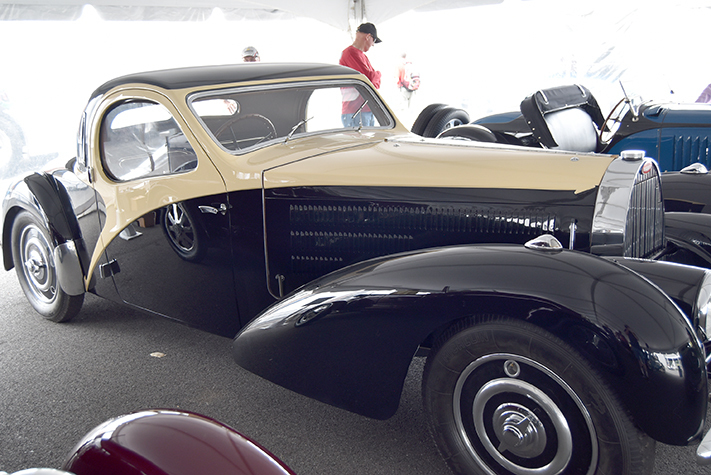 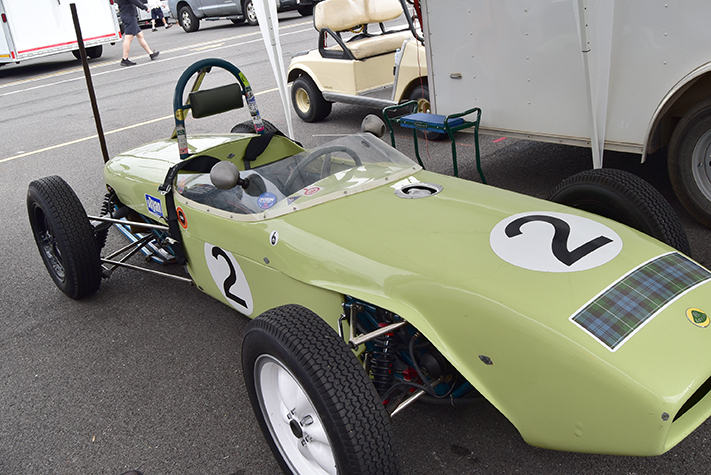 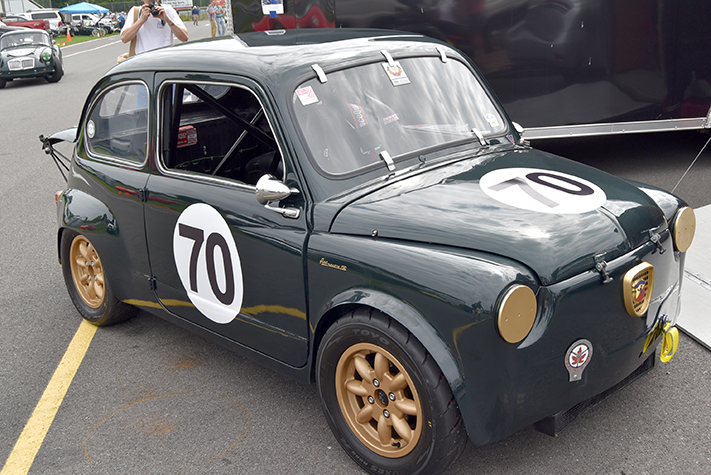 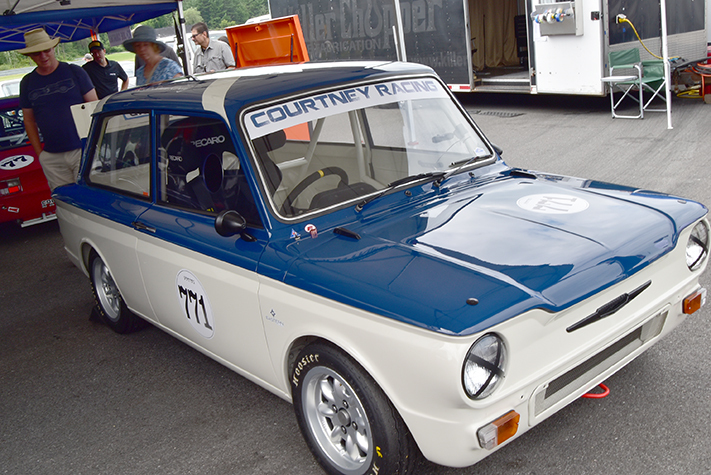 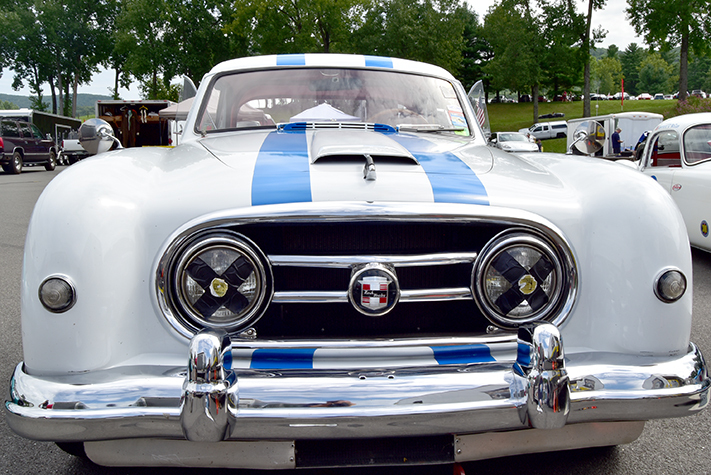 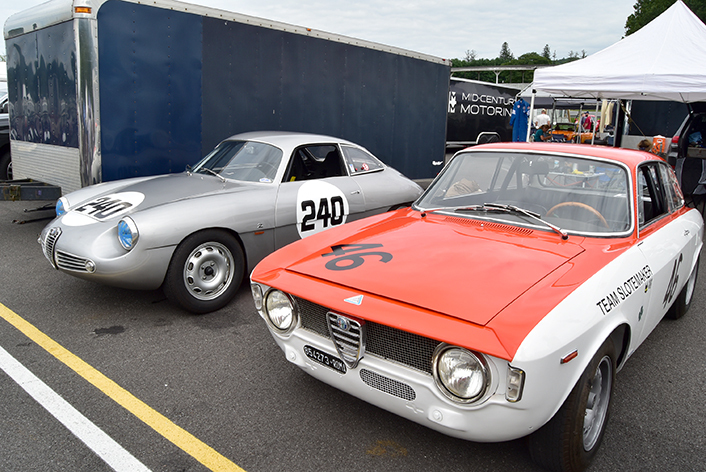 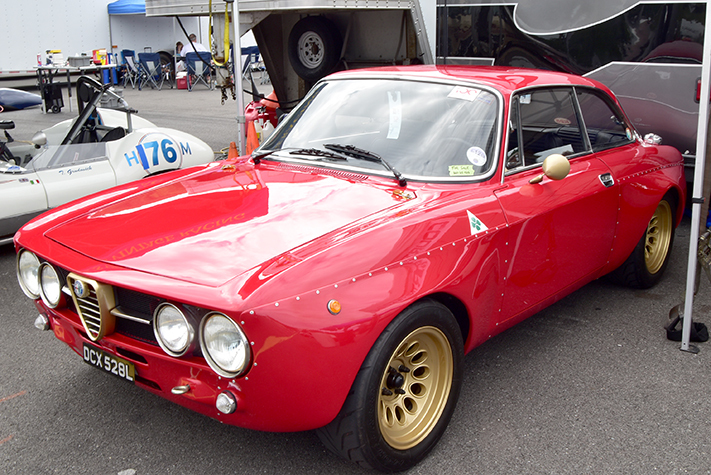 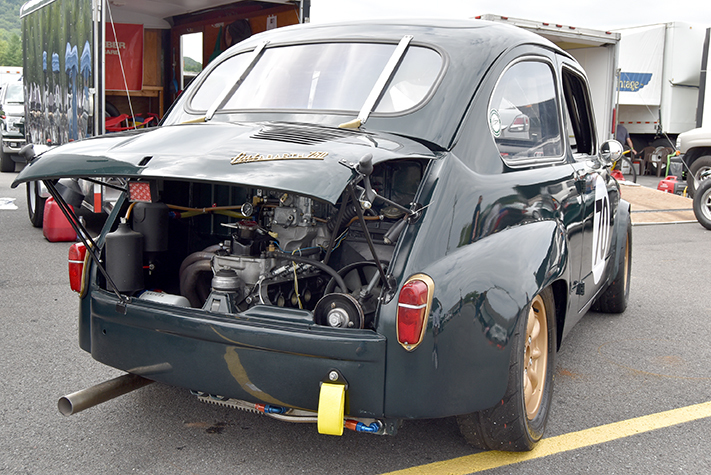 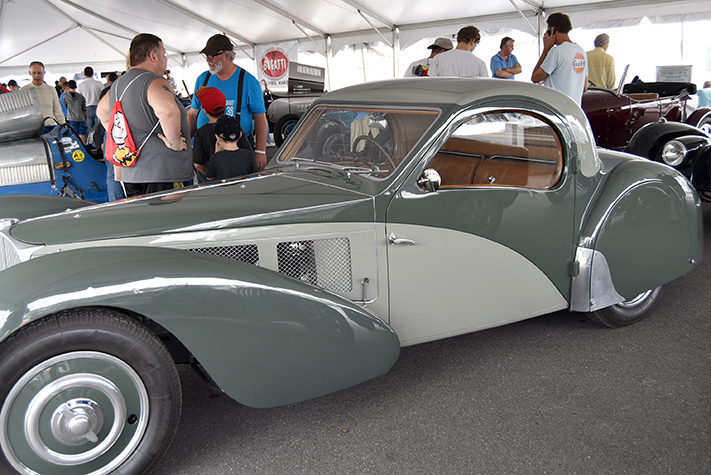 The concours on Sunday was bracketed by on-track racing Saturday and Monday. 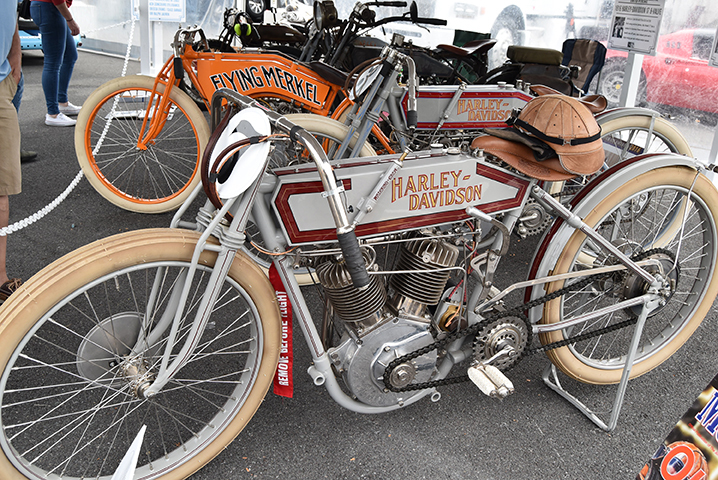 Early 20th century motorcycles made it here too, with a couple of vintage dirt flat track racers a special treat. 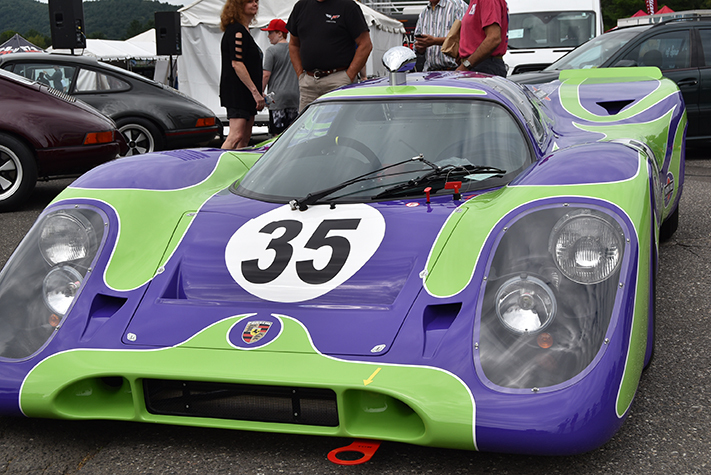 One of the things that makes this event so special is Lime Rock itself. 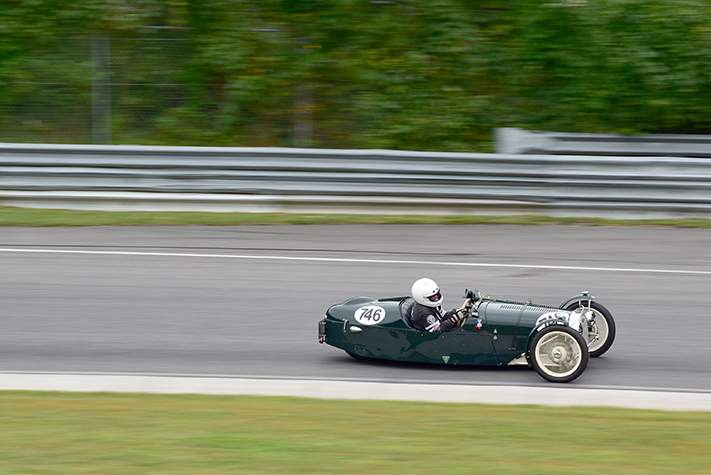 Skip Barber and staff just keep on making this place more fan-friendly every year. 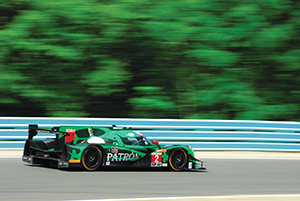 Expanded spectator areas in new locations with added shade trees give Lime Rock regulars something new to explore. 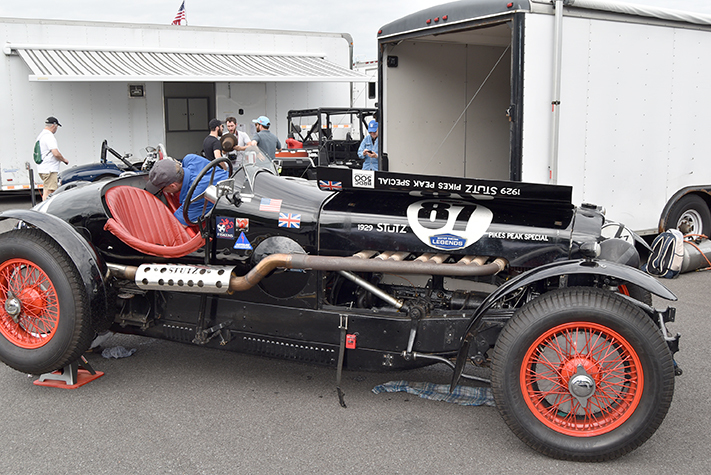 Of course the small size of the facility alone makes it easy to tour every inch of the track and paddock. 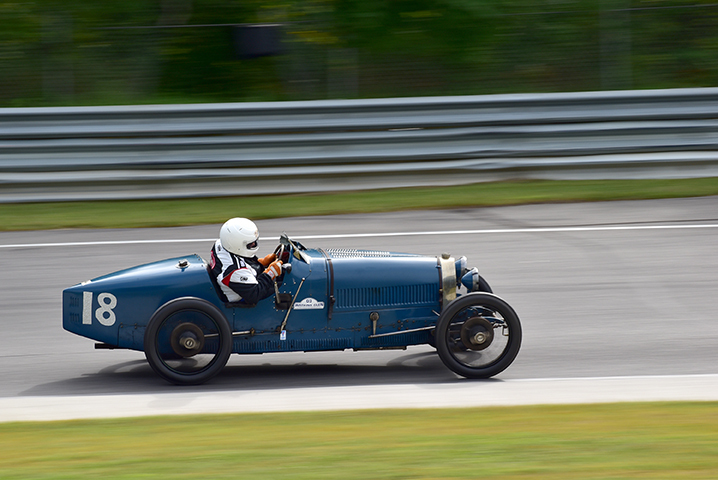 These vintage racers aren’t slow either! 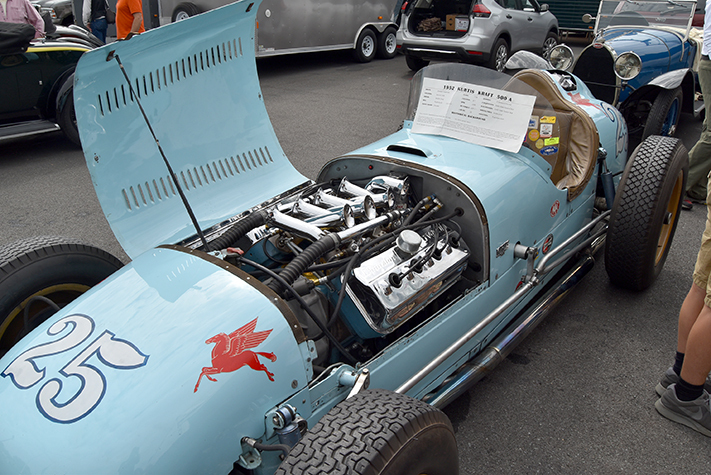 Most vintage race events are little more than exhibitions of very expensive cars. 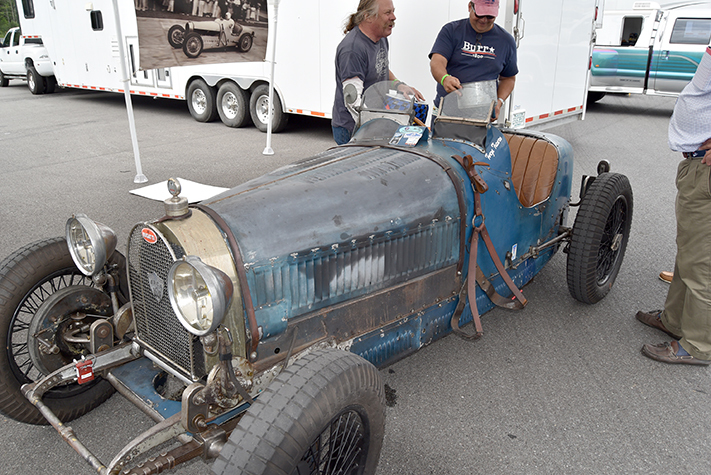 Understandable considering the rarity and expense of fixing the cars. 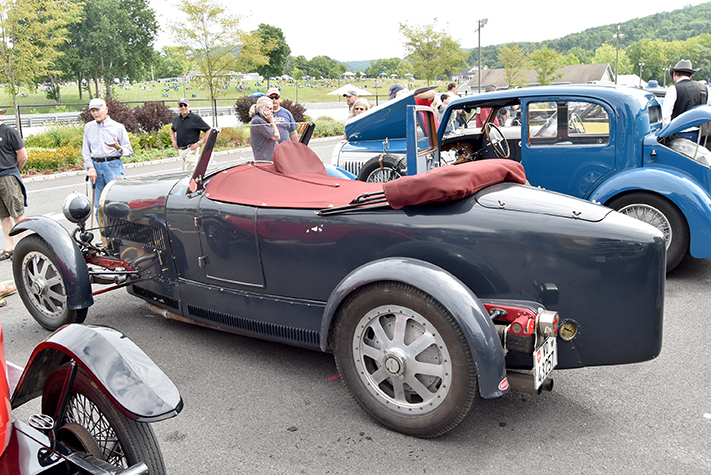 It is great to report that most of the drivers were flogging their cars to the near-fullest. 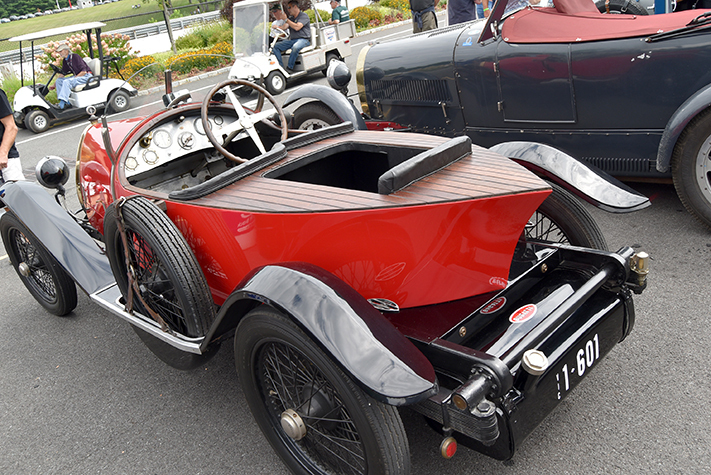 Peter Greenfield was absolutely amazing in his 1935 Alfa Romeo in Group One (left), running away from the hard charging field behind him. 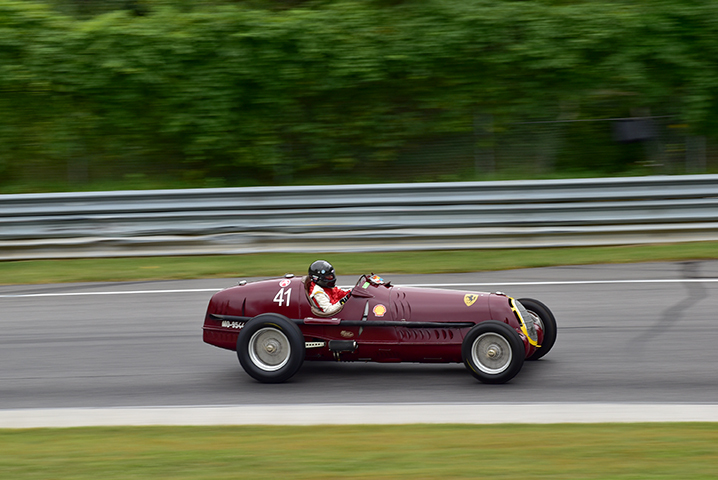 Like many in this 1955 and earlier class, the drivers were literally hanging out of the cockpits around the corners! 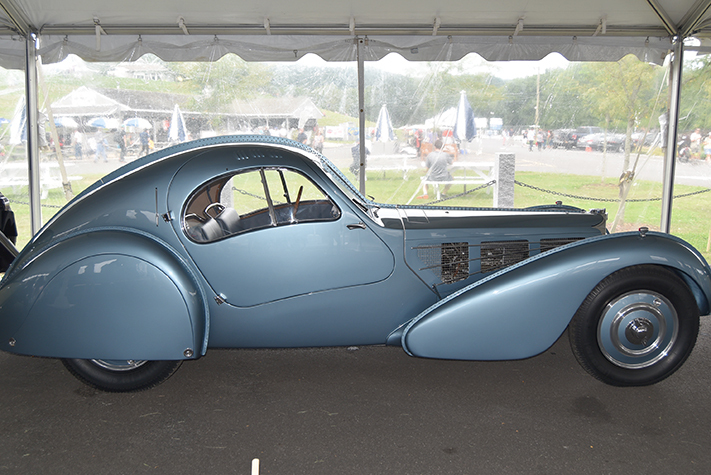 Of course, everyone was waiting for the Bugattis to appear, and a slew of them in Group Five did not disappoint. 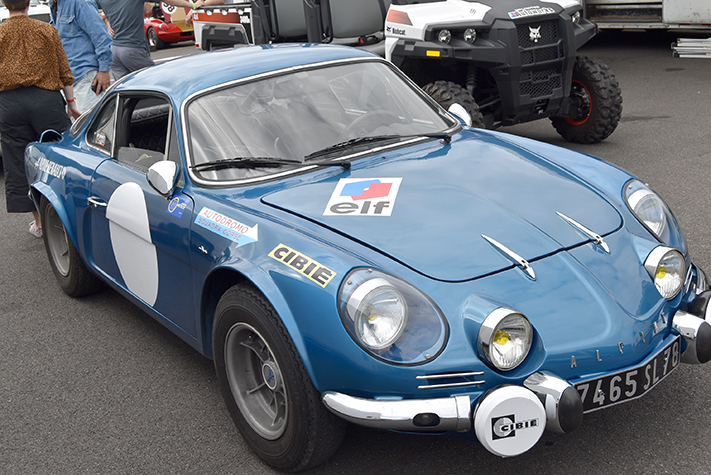 Throwing caution to the wind, the intrepid pilotes were wailing with all their French might. 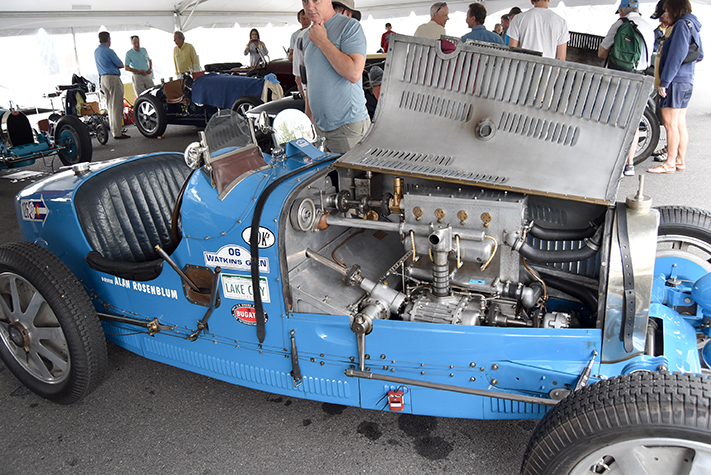 Those of us too young to see Bugattis race in their prime got a little taste of what it was like at the dawn of auto racing.